This is my kind of state. When a reputable newspaper has an entire section dedicated to today’s culture and FASHION!? It’s kismet. 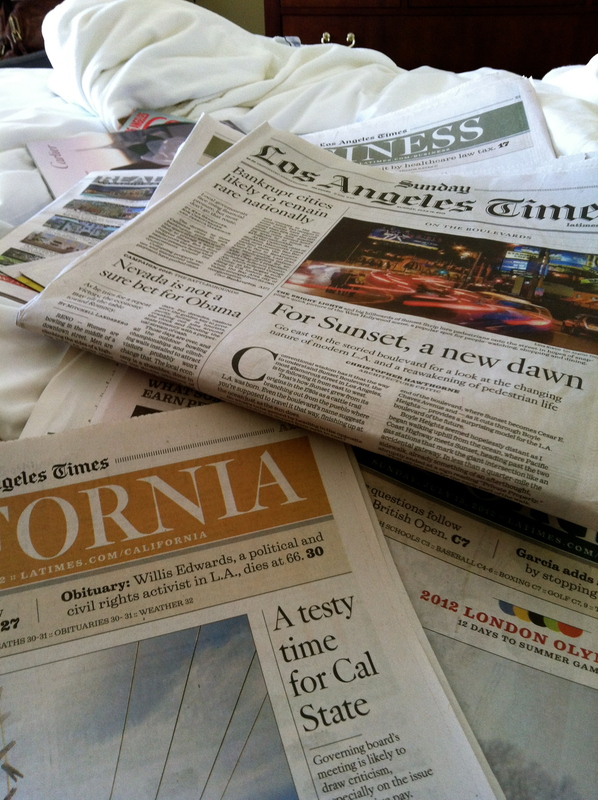 During a hotel stay in LA, I received a complimentary issue of the Los Angeles Times. On a lazy Sunday morning after starting with Section A and making my way through the alphabet, I eventually came across the amazing “Image” section. Opening the pages with a momentary high-pitched squeal, most likely. Might be starting a new weekend morning tradition. 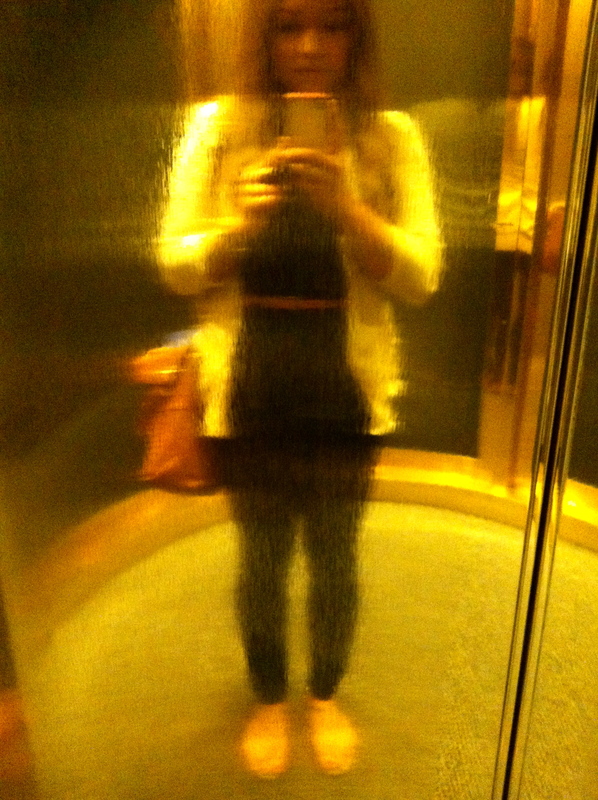 Another recent attempt in my ongoing quest for business casual. Not L.A. Times worthy, but I think I’m getting the hang of it. As you can see, the labels in my closet can usually be found for under $75 a piece. In order to support a broad selection, I stay on a fairly strict budget. The whole “less is more” theory never really resonated with me. When it comes to clothes, I abide by “more for less.” I often sacrifice quality for quantity in everyday wear, but what can I say – – variety is essential.